Everyone experiences moments where they feel ill at the thought of speaking up. Managers and bosses are no exception. Harvard Business Review and other research firms have reported that up to 69% of managers are uncomfortable communicating with employees. This includes not just when it comes to having conversations they think an employee might react badly to, but they also admitted to having difficulty giving clear direction, demonstrating openness and vulnerability, as well as giving positive recognition. 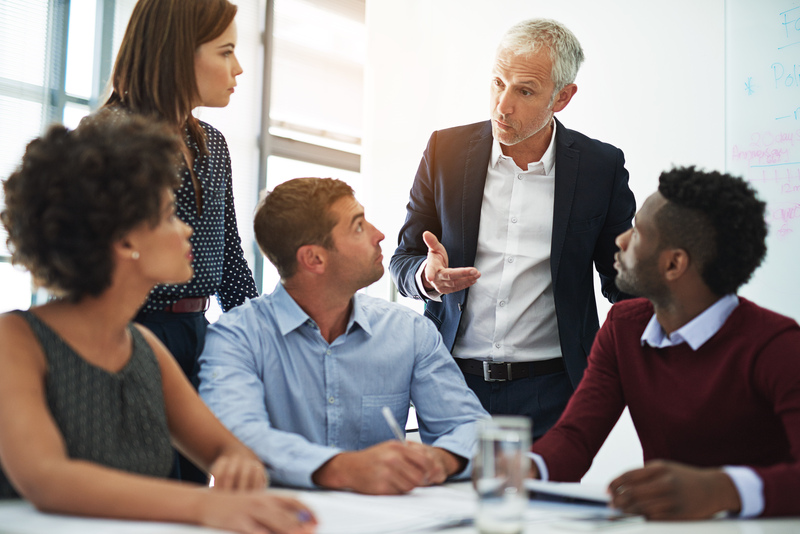 Finding the right words can be challenging for many reasons, but as a manager, the choices you make set the standard for communication style and behavior in the entire organization. What managers choose is what others will follow and respond to. Lack of open communication and failure to have important conversations have damaging effects not only on employee morale and retention but also on work culture, productivity, revenue, and innovation. For organizations to thrive, managers need to take the lead in establishing, demonstrating, and empowering communication practices that facilitate engagement, collaboration, and creativity. There are 5 key things managers need to do to engage themselves and employees in open and effective communication. Managers must be willing to have a level of self-awareness so that they cannot only identify issues in communication within the company and address them but also address where they may be contributing to the issues with certain behaviors or limited perspectives. What is your point of view going into a conversation? If your goal is to be right, have a superior point of view, or make someone else wrong, these fixed perspectives will not facilitate open communication. Conversely, if you avoid speaking up based on assumptions of how you believe others will react, or that things won’t work out in your favor, this also limits the possibilities of where the conversation can go. Ask yourself: If I was being totally honest with myself, what is my point of view about this situation? Being honest about your attitude, thoughts, and preconceived notions and becoming aware of where they may be holding you back, gives you the ability to let go of limited perspectives and to approach interactions with a more open mind-set. Learning to both listen and speak authentically largely relies on the willingness to approach a conversation without judgment, allowing it to flow unhindered by fixed perspectives of who or what is right and wrong. View all information, feedback, and ideas you receive as different perspectives, rather than in terms of good and bad or positive and negative. The target should always be about allowing different perspectives and looking at what will create greater good for everyone involved. Help Shape the 2019 HR Comply Agenda! Which topics do you want to see covered at HR Comply 2019? The conference, which takes place November 13-15 in Nashville, will cover the latest employment law, regulatory, and compliance challenges today’s business face. Take the survey now! Collaborative and innovative communication is fueled by curiosity. Curiosity is essentially the habit of continually asking questions rather than coming to conclusions or having fixed expectations. Even negative feedback and comments can become opportunities for creative thinking if you are willing to maintain curiosity and ask questions. If this wasn’t a problem, what possibility or opportunity would it be? What else is possible here that we haven’t considered? Who or what can we add to this conversation/project/product/service etc., that would make it greater? Everybody differs in how they like to receive information. Some people prefer frank “no-frills” delivery. Other people need to hear positive feedback alongside negative; others may need a lot of context or need to process information in bite-sized pieces. The same person may require a different approach at different times. Part of communicating effectively is being willing to tailor your delivery to create the best results. It isn’t about holding back, avoiding conversations, or biting your tongue. Be willing to be aware of and say what people are able to hear in the way they can hear it. Before talking, ask: What is this person willing and able to hear right now? What can I say or ask that would empower this person to choose greater? All employees have a different perspective and insight of the business that no one else has. Are you using your people and what they know to their full capacity and for the expansion and success of the business? If not, what systems and forums need to be created or put in place that would allow greater communication, collaboration, and innovation across the organization? Have at least one system for anonymous feedback, comments, and ideas (such as an ideas box). Allow peers to nominate each other for recognition of contribution to the business (not just managers). Hold one-on-one manager and “skip level” meetings so managers and employees can share information and insight. Hold quarterly cross-departmental meetings to increase collaboration, transparency, and overall business awareness. If you are not willing to ask questions, have open conversations, and create opportunities to encourage collaboration, knowledge, and idea sharing, you are severely underutilizing your greatest assets in the business—your people and what they know. Communication between staff, managers, and across the business does not have to be a difficult undertaking. As managers, you can take the lead in developing high-quality communication practices by making these simple changes in your own approach to communication with your staff. The quality of your leadership is not in having the answers but in having the questions, curiosity, and openness that include and invite all voices in the business to speak up, be heard, and contribute to creating more for everyone. 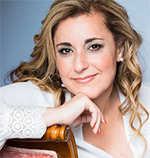 Laleh Alemzadeh-Hancock is a life and communication coach, management and professional services consultant, and facilitator of several Access Consciousness® special programs, including Right Voice for You and Being You.